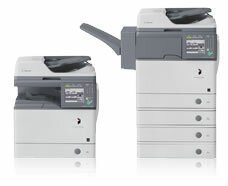 A broad range of copiers that range in speed from 20-105 copies per minute, with the ability to scan to desktop, scan to email, fax & print on any system. These monochrome models deliver powerful black-and-white output. 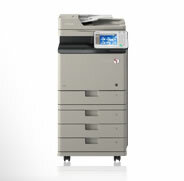 They offer digital copying, network printing, and color scanning to meet the needs of businesses, workgroups, and fleets. Canon’s business color copiers are for workgroup and departmental printing/copying/scanning, the opportunity to enhance documents with color have more potential with Canon’s vast array of color copiers.